I was chatting to some new friends recently and talking about what I do for a living. This couple had been married for years and I was surprised that they really didn’t know what a divorce involved. This made me think that the majority of people have no idea what they will have to deal with if their relationship gets into difficulties. There is the divorce itself - which is usually just a paper exercise and should be straightforward. In fact recent changes to the documents used in divorces means that people should be able to do this bit themselves if they want to. However the divorce itself is the easy bit. There are then all the issues around the children that need sorting out. Thankfully most people are sensible enough to resolve these issues themselves and are able to put to one side their own feelings and prioritise the needs of the children. If they can’t sort out the children issues themselves then they should use family and friends to help, use mediation and view lawyers and the court system as the last resort. I really don’t think the courts are fit for purpose in this respect and I suspect the majority of people who have used the courts to resolve children issues would agree. The last part to sort out is the money. The major problem here from the outset is an absence of knowledge. Of course many people know (or think they know) that “a wife who has the children will always get more than the husband” or that “the courts like to divide things equally if they can”. However, whilst both these (inconsistent) statements are true, sometimes how do they, and the many other principles, fit together? How do you find out more about divorce and the law if you are an ordinary member of the public? The obvious answer is you go to a lawyer who will help and advise you. How then do you go about finding a decent divorce lawyer? What most people still do is ask friends and family who have been through the process of getting divorced and splitting their money. This is a good idea - except that most people only get divorced once and therefore have no-one to compare their lawyer to. I would suggest that consulting friends and family should be a starting point definitely but it should be backed up by more research. Check to see if the lawyer is ranked in Chambers and Partners, which is the most well respected and independent guide to the legal profession, as you cannot pay to be in it . So if your lawyer is listed there then that is a good start (select 'Family/Matrimonial' as your sector, and then search 'Law firms' for your area). Also don’t think just because a lawyer is expensive that they must be good. That can sometimes be true but not always. Arrange a meeting and see if you like them. Remember they will be your guide through one of the most difficult times in your life. Sometimes I am on the phone to clients 4 or 5 times a day for lengthy periods – it is important that the relationship is a good one, as it will be sorely tested throughout the process because of the stressful situation you are in and because of the often large bills you will receive. Most important of all though is to make sure your lawyer gives you advice from the outset. As long as you have a reasonable idea of your finances and those of your ex-partner there is no reason why a competent lawyer cannot give you a good idea of outcome at the initial meeting you have with them. Sometimes they won’t be able to (if for example you are ignorant about the finances or a significant element of them) but more often than not they should be able to. If you are not confident that your lawyer is giving you advice then you must think very carefully about whether they are right for you. What I also think is very important is that people are aware how much divorces cost. It is scarily easy for a normal family, with say assets of £100k to £300K including the equity in their house, to spend 10 to 20% of their entire wealth arguing through their lawyers about how to split their assets on divorce. That is a terrible waste and will leave them far worse off than they need to be. Often it is entirely their own fault because they are so committed to getting the result they each want that they do not behave rationally or listen to advice. Sometimes the costs can be forced on them if their spouse is not being frank and honest in disclosure and they need the help of their lawyers to get to the bottom of things. For others though the cost lies firstly in the disclosure process, which is entirely necessary but expensive and not really a legal function, and secondly in paying their lawyers to sort out their finances for them once disclosure has taken place. 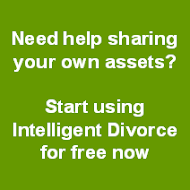 What we do at Intelligent Divorce is give you and your ex-partner the tools to go through the disclosure yourself and satisfy yourselves of the assets that exist – which for many couples should not be that difficult. 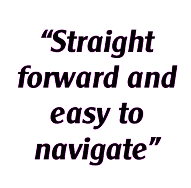 We crucially then give you the knowledge and advice you need by providing an expert opinion from a specialist family law barrister on the way a court might divide your assets. We then give you the tools to use your knowledge to come to an agreement. It sounds simple and it is - but you will have to put some time and effort into it. If you do it will save you thousands of pounds.